The Queen Elizabeth Hospital in Charlottetown is a 15-minute drive away. Stop into Town Hall & get your FREE dog tags. The Kidsport program helps children and families overcome financial barriers which prevent or limit their participation in organized sport. This program is administered by Sport PEI. 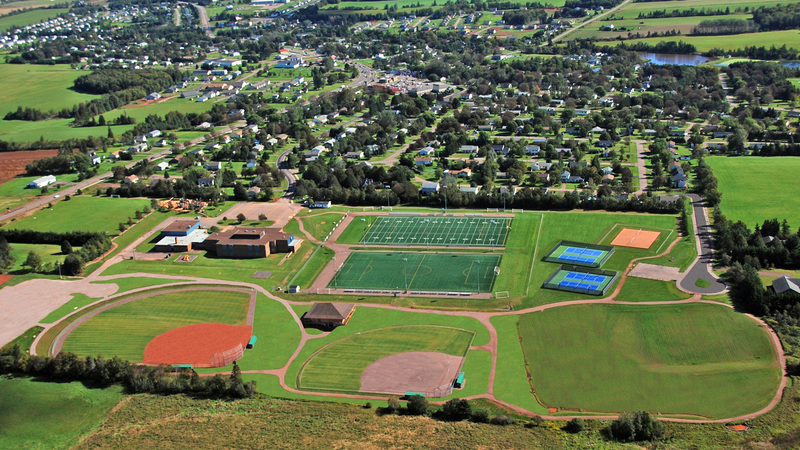 If you would like more information or to apply for funding please contact Sport PEI at 368-4110. Funding opportunities so everyone gets to play! Jumpstart program is a community based charitable program from the Canadian Tire Foundation for Families that help kids in need participate in organized sports and recreational activities. For more information visit their website at www.canadiantire.ca/jumpstart. Keep our Town beautiful! Contribute to the Community Gardens on MacArthur Drive. Garden plots are $20.00 each. Interested in volunteering in the gardens this summer? Give us a call. Do you have a creative idea to improve the beauty of our gardens? If so please call 902-628-6260. The Town of Cornwall is currently looking for dedicated volunteers for its new Citizens on Patrol Program. The program is designed for volunteers to participate in the observation and reporting of any criminal or potentially criminal activity in Cornwall. If you are interested in enhancing the safety in our community, please contact 566-2354 for more information. A watershed is defined, simply as an area of land that drains surface water and groundwater into a river or stream. PEI has more than 250 watersheds which supply us with fresh drinkable water for our domestic and economic needs. The Town of Cornwall and Area is rich with watersheds. We all have a stake in the health of watersheds because these areas are impacted by and in turn influence activities.